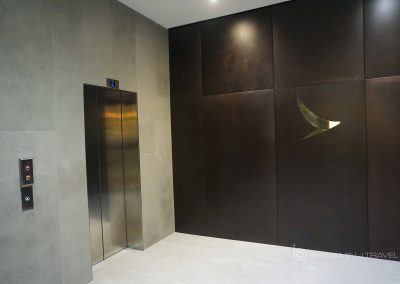 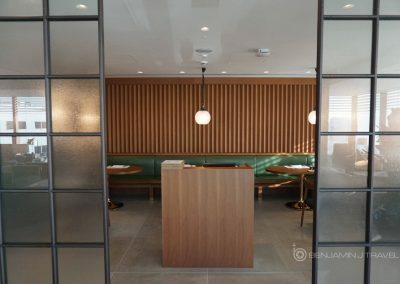 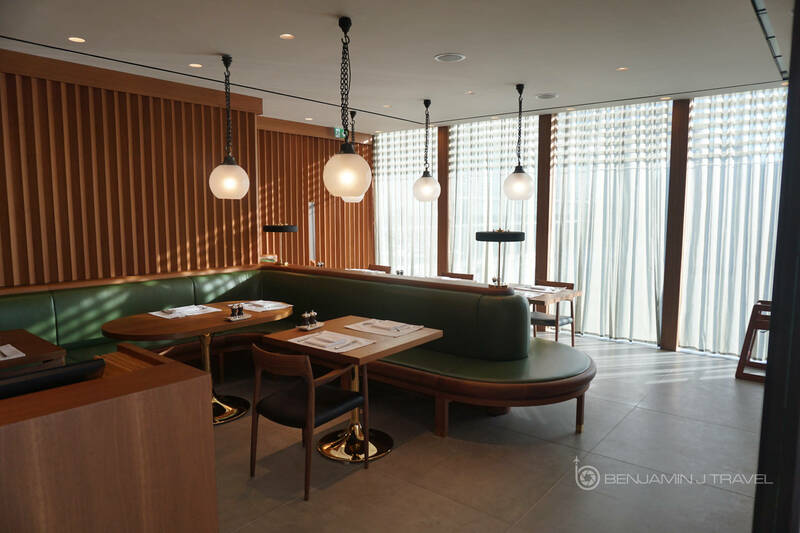 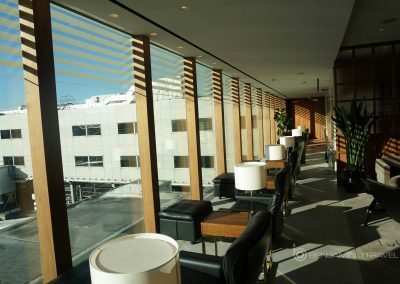 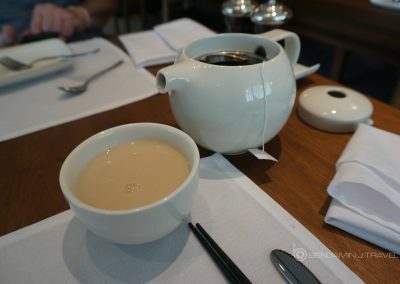 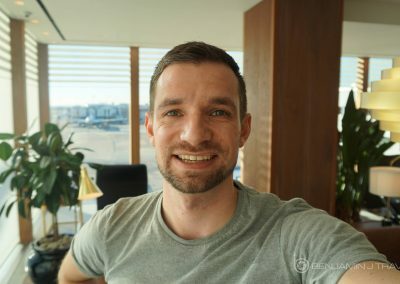 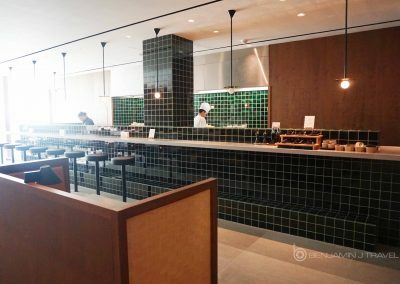 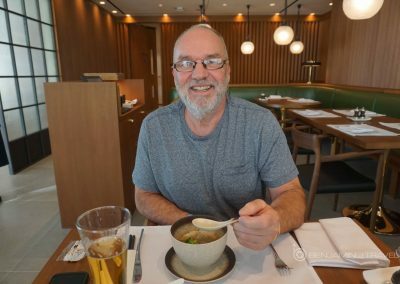 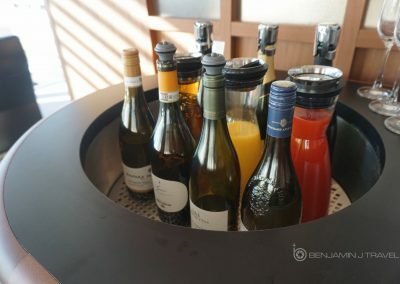 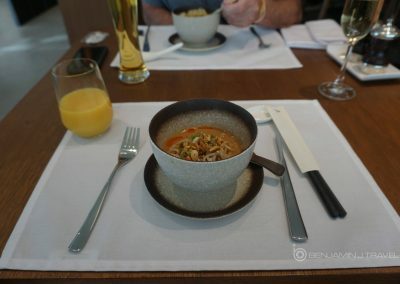 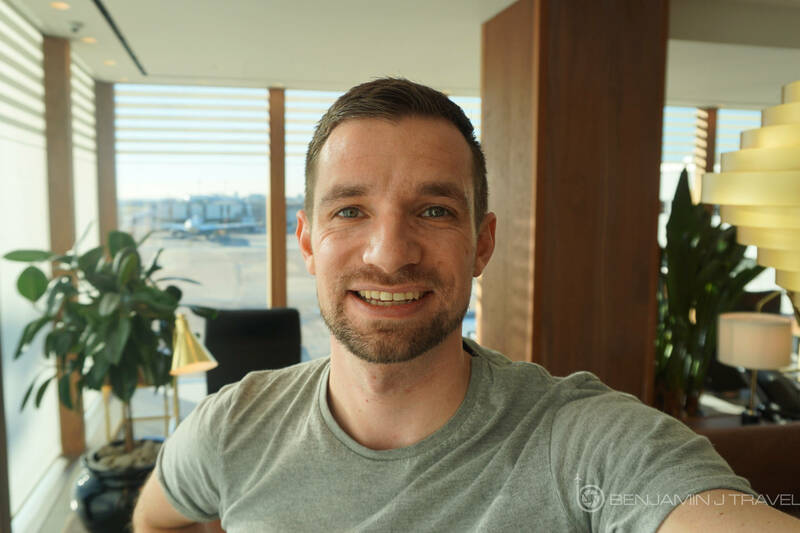 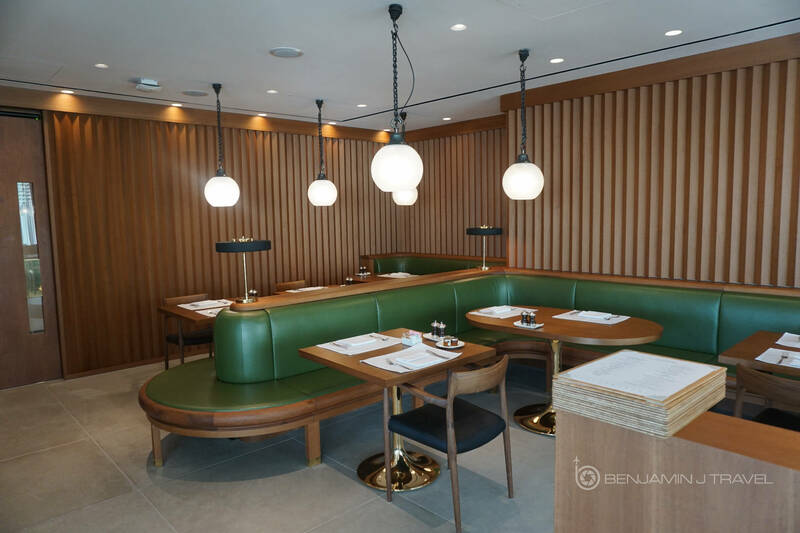 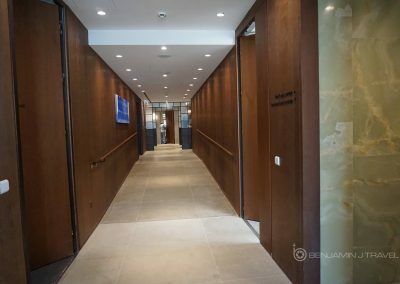 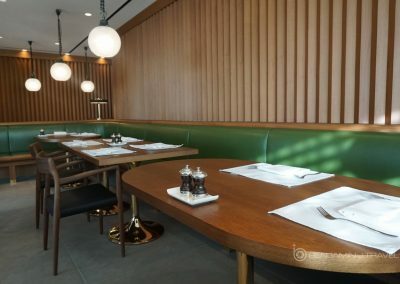 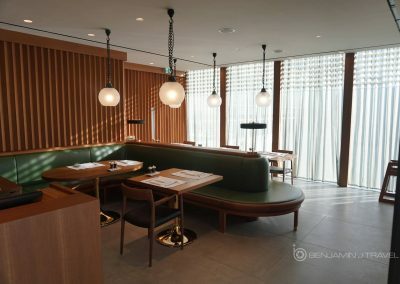 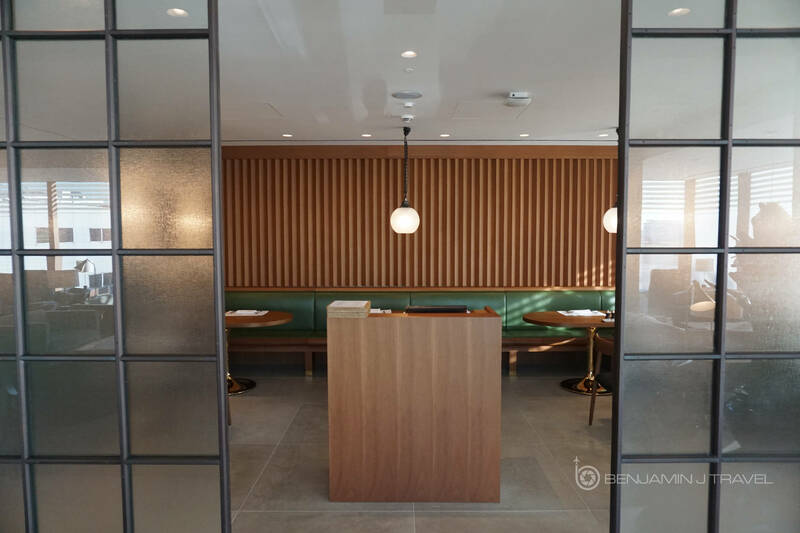 While not officially opening until the grand opening on December 7th, I had the lucky chance to visit the newly refreshed Cathay Pacific First Class Lounge at London Heathrow on only their second day of operation! 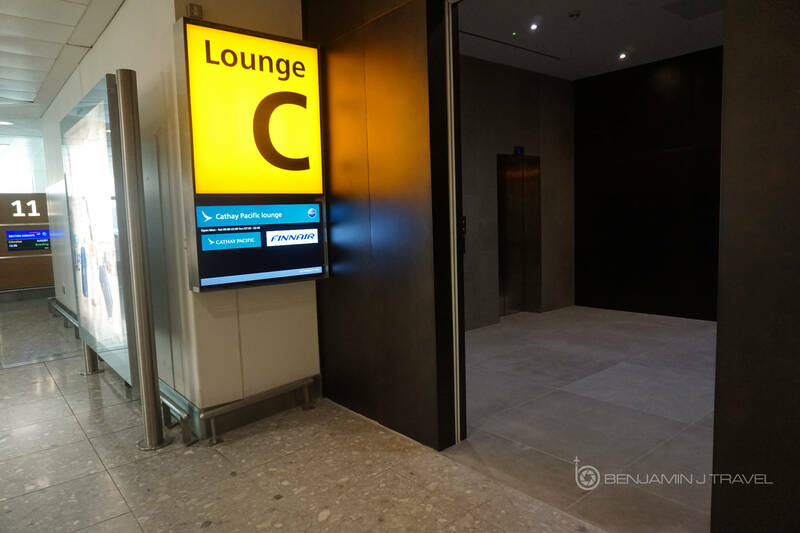 Thanks to the heads up from a fellow travel geek, I happened to be transiting through London Heathrow Terminal 3 on American Airlines on this day. 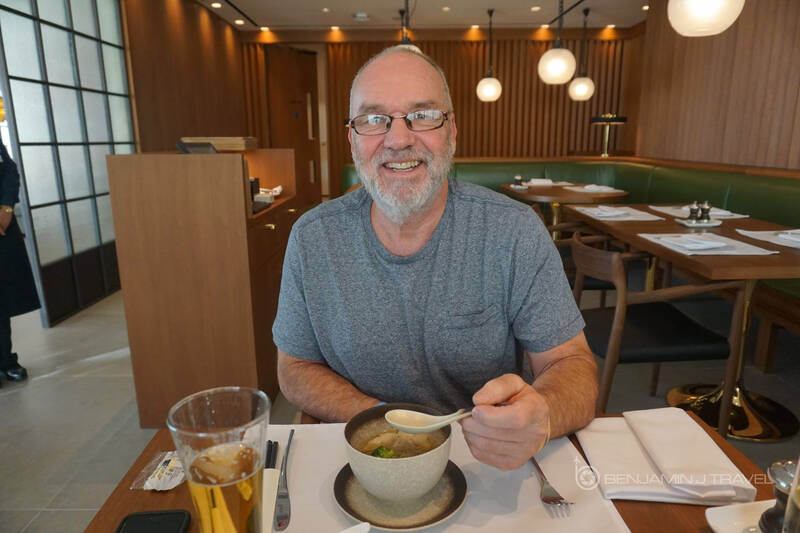 Chris, my Dad, and I were headed back to Dallas from our Irish road trip. 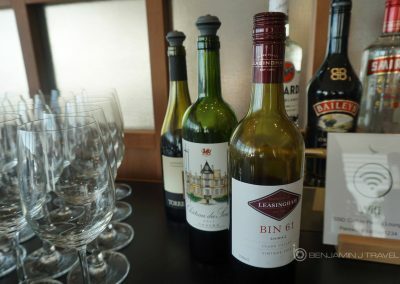 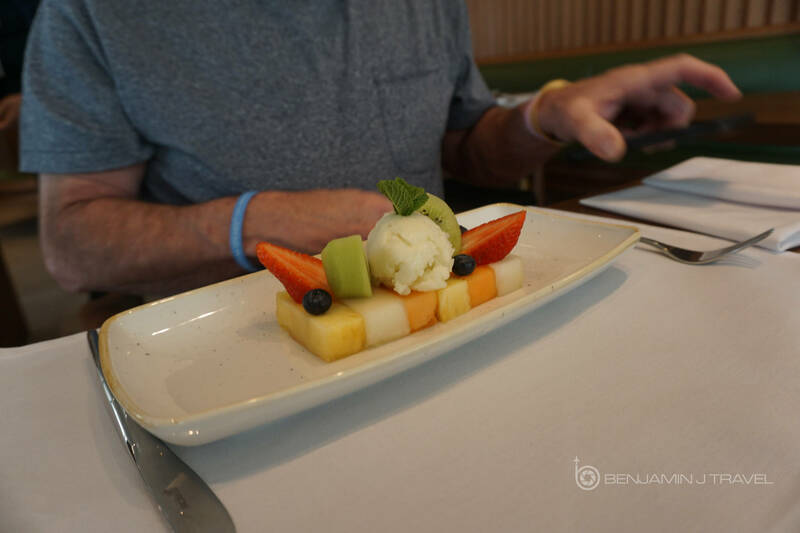 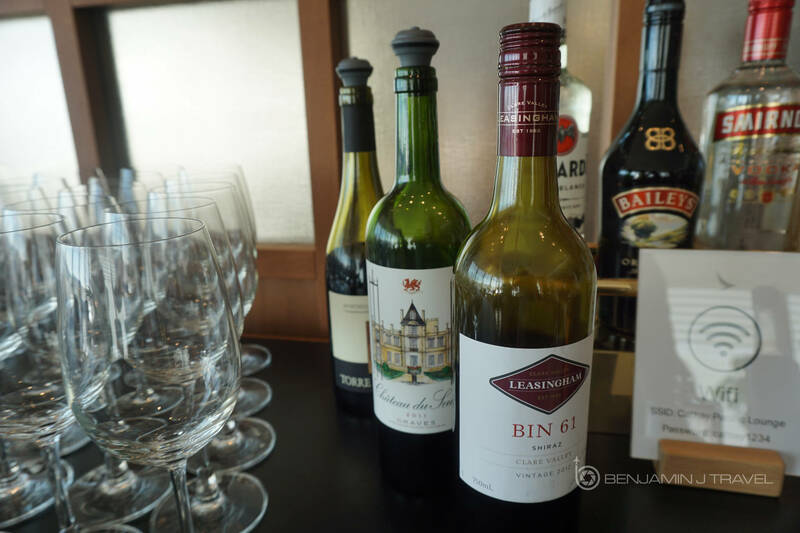 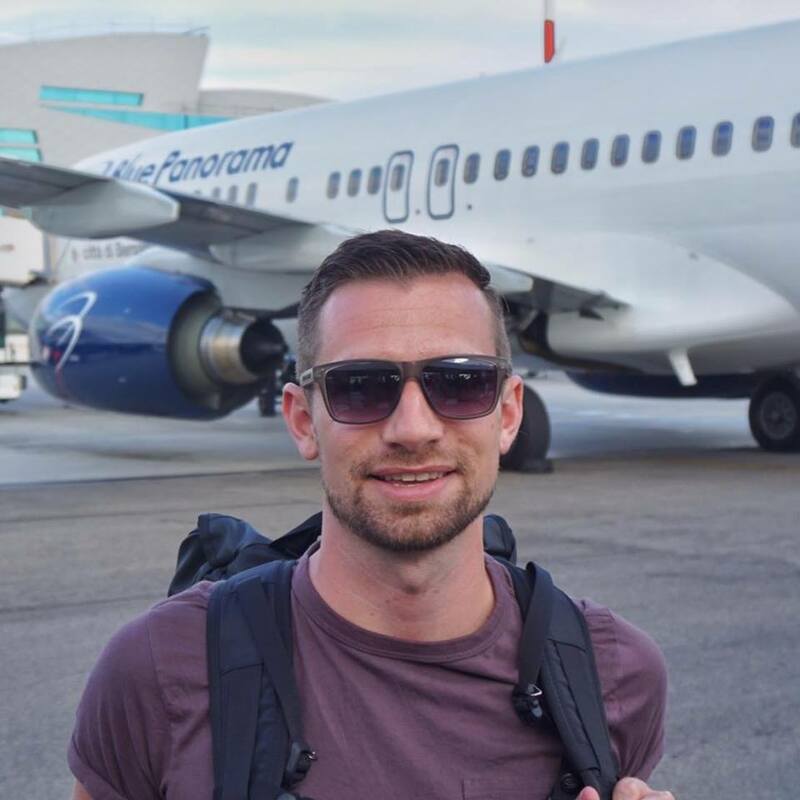 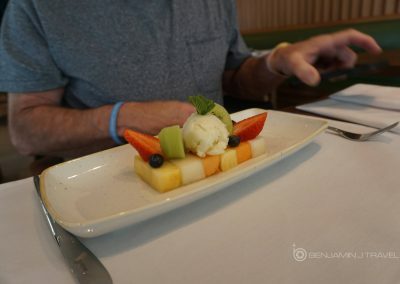 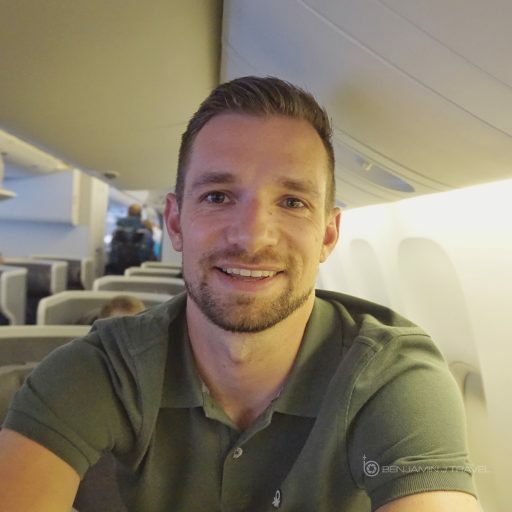 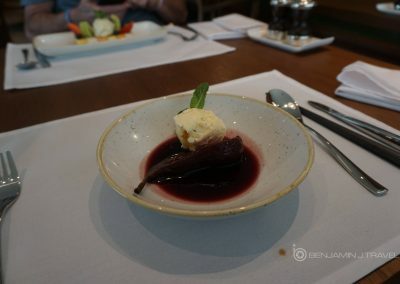 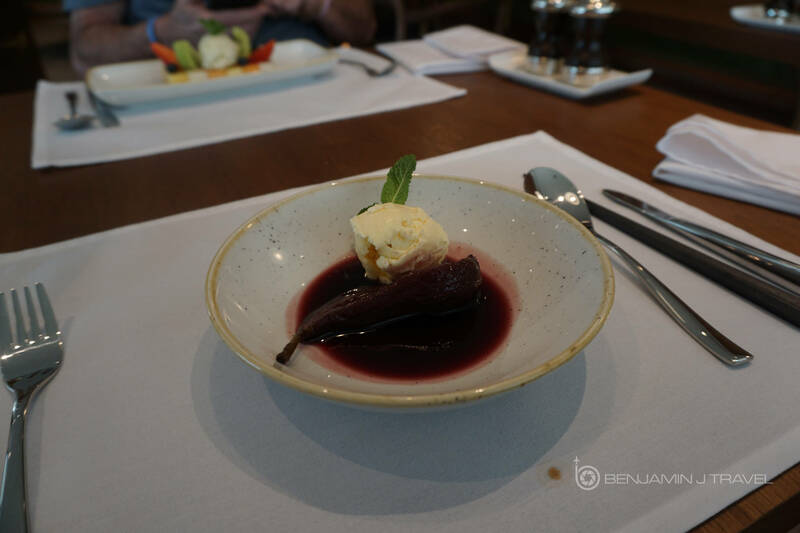 This was certainly an occasion where I really appreciated my OneWorld Emerald status! 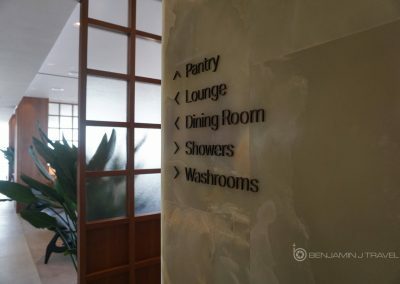 The lounge complex hosts both a Business Class and First Class lounge with shared washrooms and shower suites between the two. 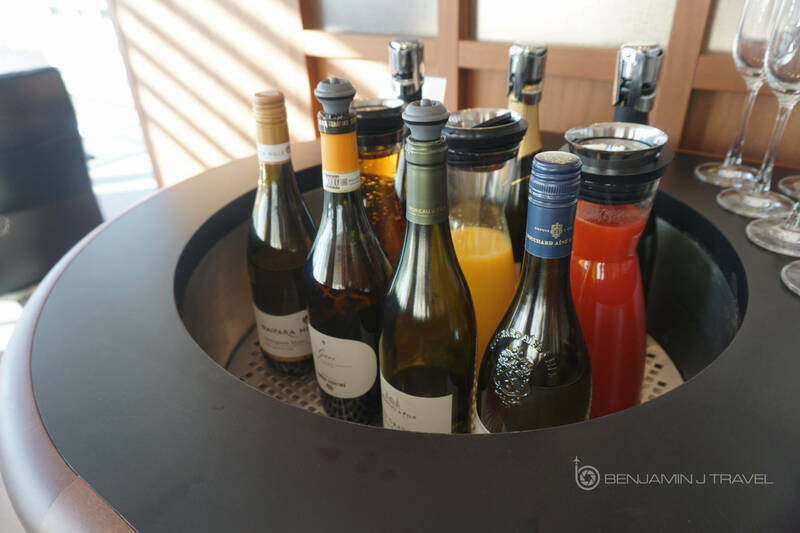 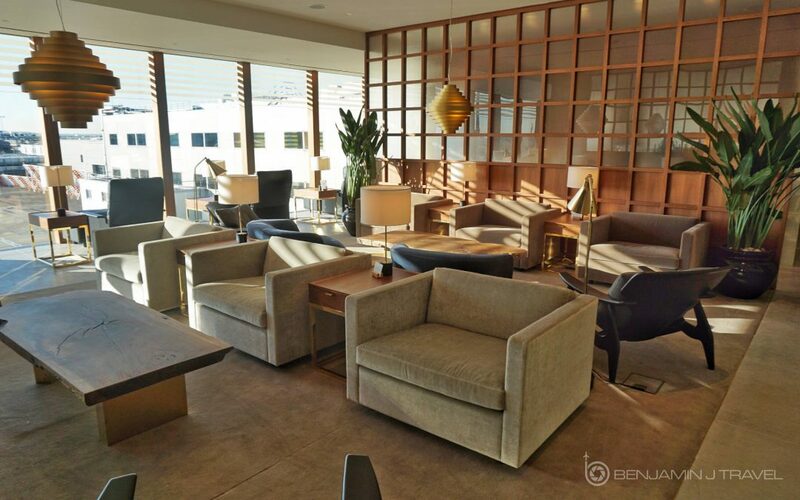 The Business Class Lounge is accessible by OneWorld Sapphire members, regardless of class of service on a OneWorld carrier, and passengers traveling aboard any OneWorld carrier in Business Class. 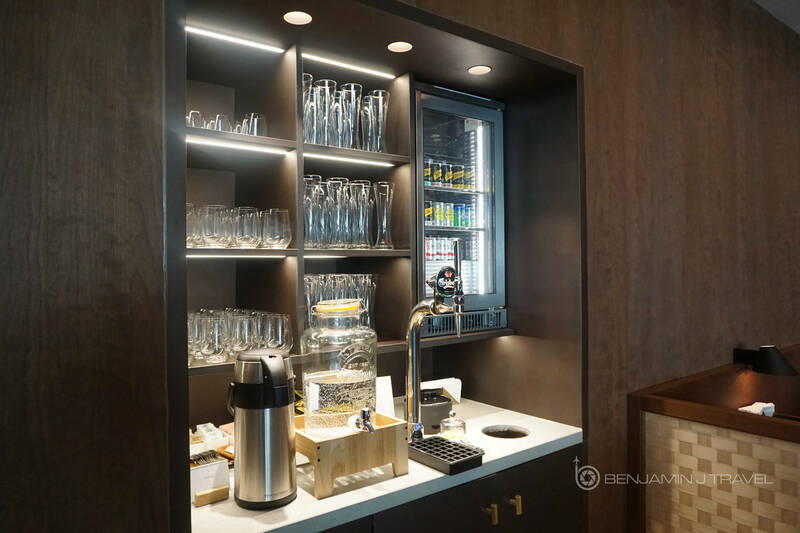 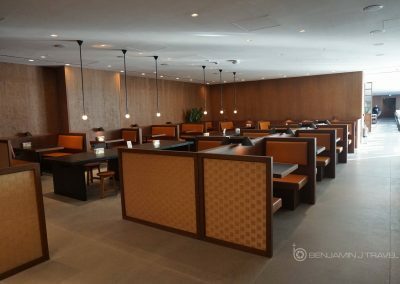 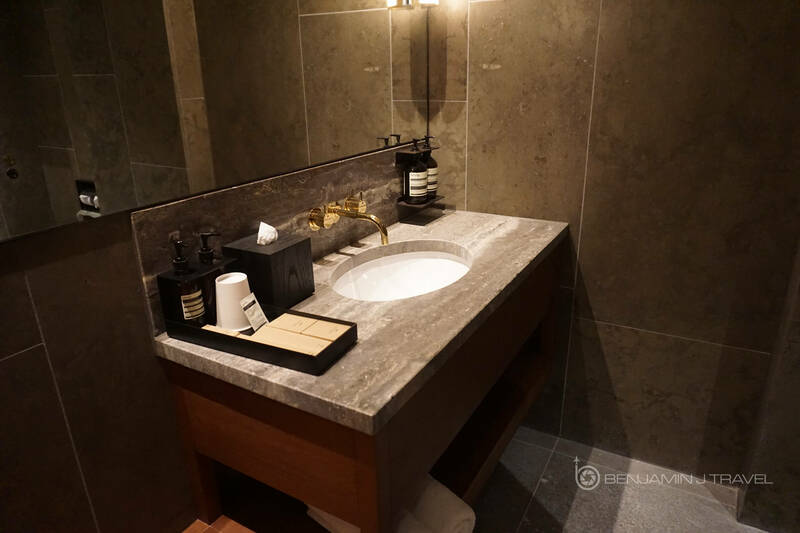 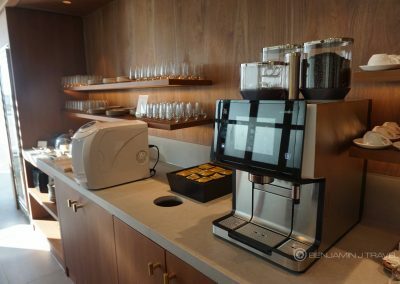 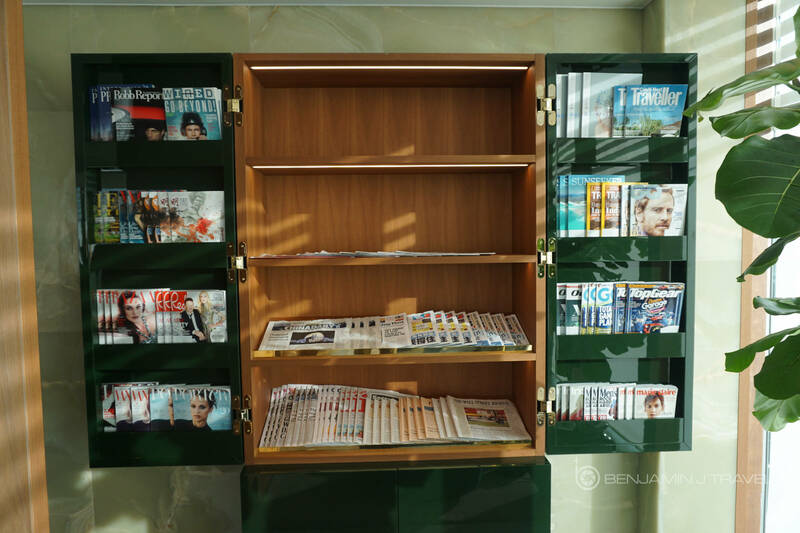 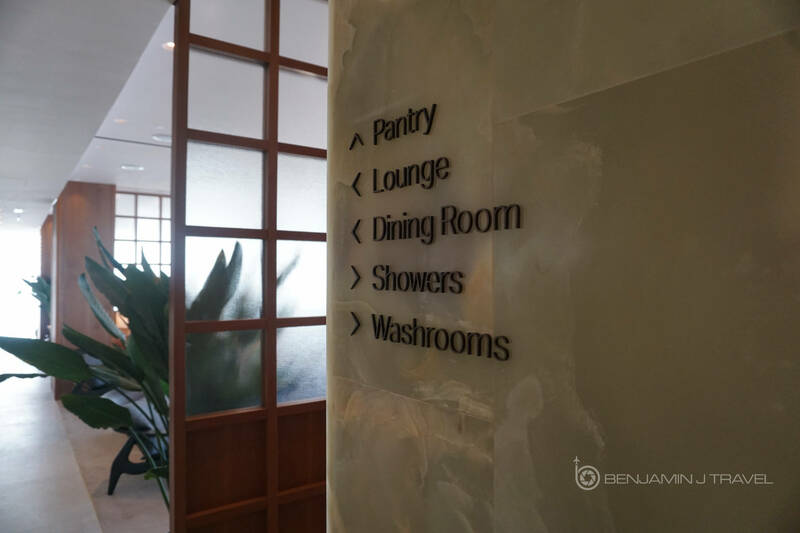 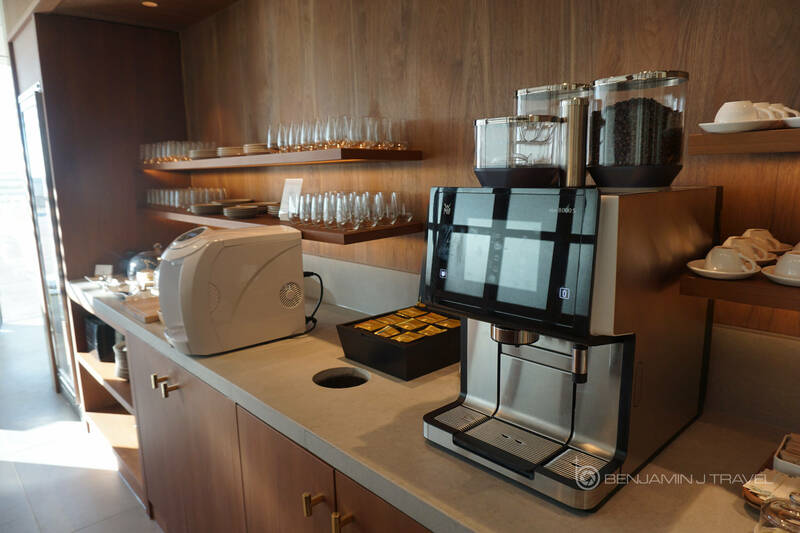 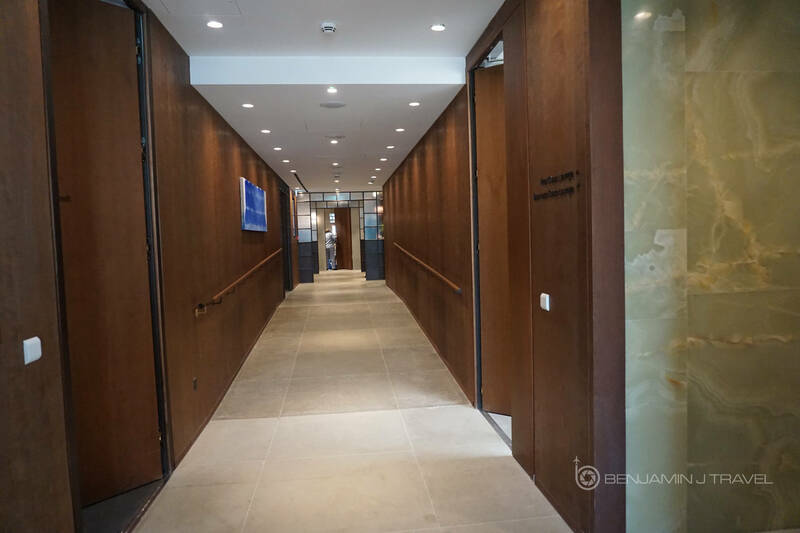 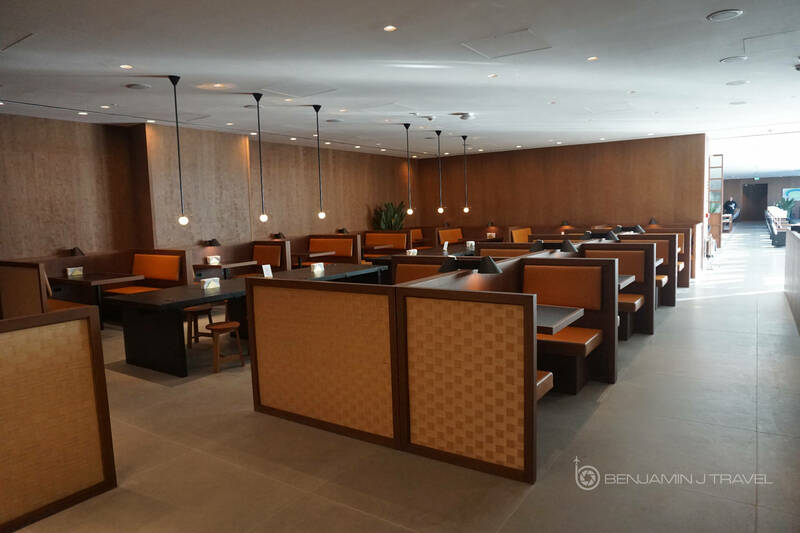 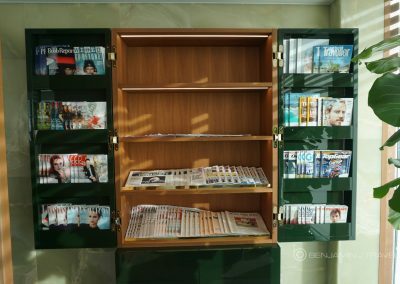 The First Class Lounge is accessible by OneWorld Emerald members, regardless of class of service on a OneWorld carrier, and passengers traveling aboard any OneWorld carrier in First Class. 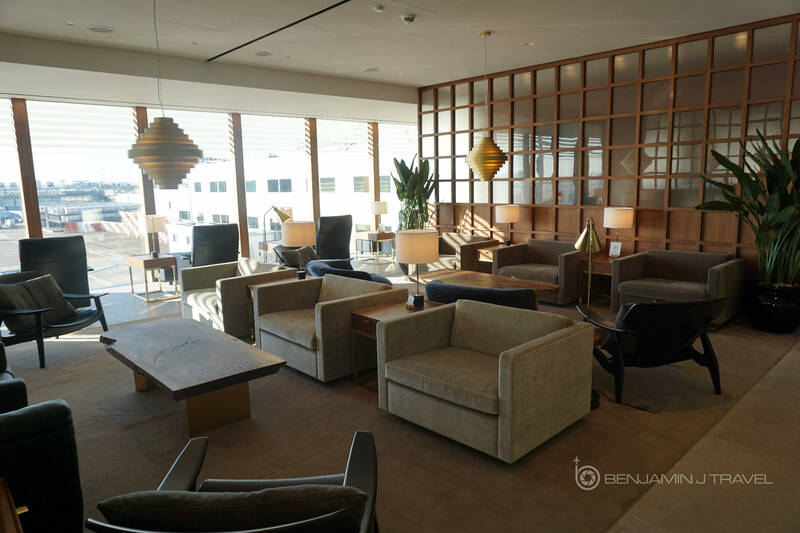 Christina from the front desk gave us a brief tour of the lounge and walked us to the First Class Lounge. 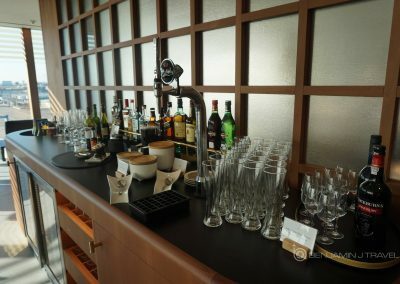 I was instantly impressed from the first moments with the hospitality from the lounge staff. 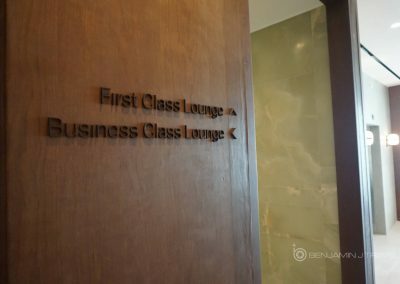 I took a walk around both the First Class and Business Class lounge. 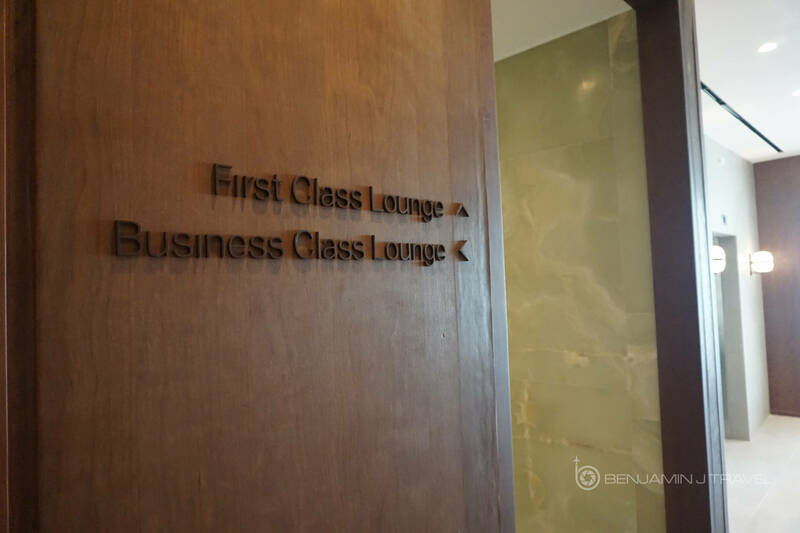 The Business Class Lounge is much larger for greater capacity while the First Class Lounge offers much more privacy and quiet. 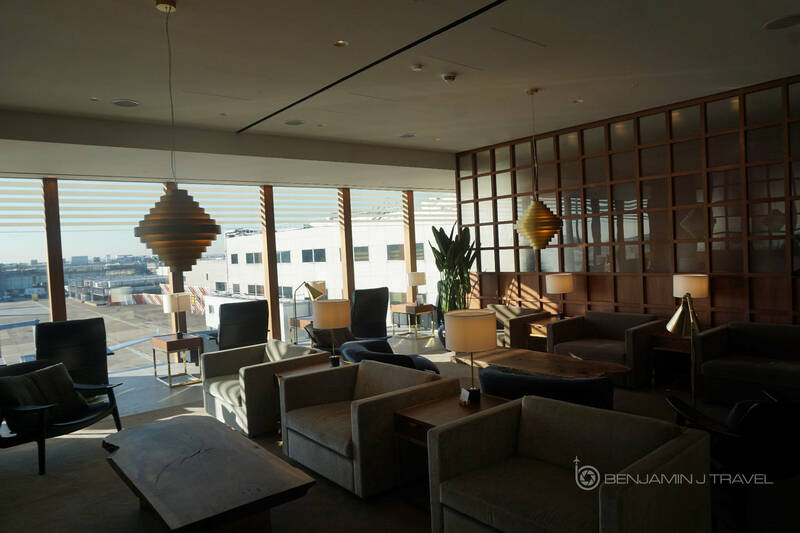 However, both lounges were very empty as many passengers were not aware the lounges had reopened from the remodeling. 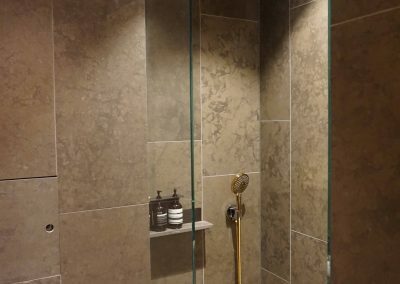 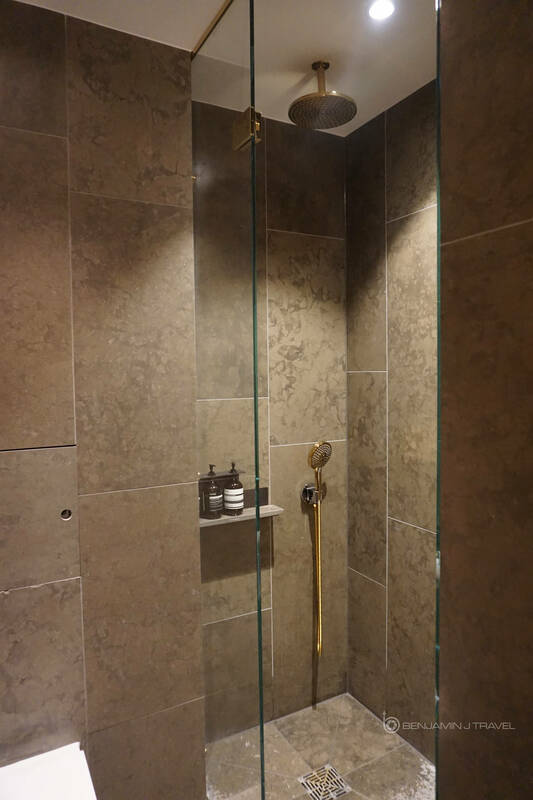 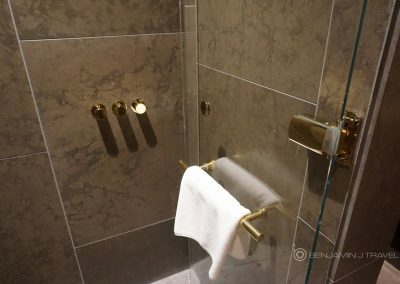 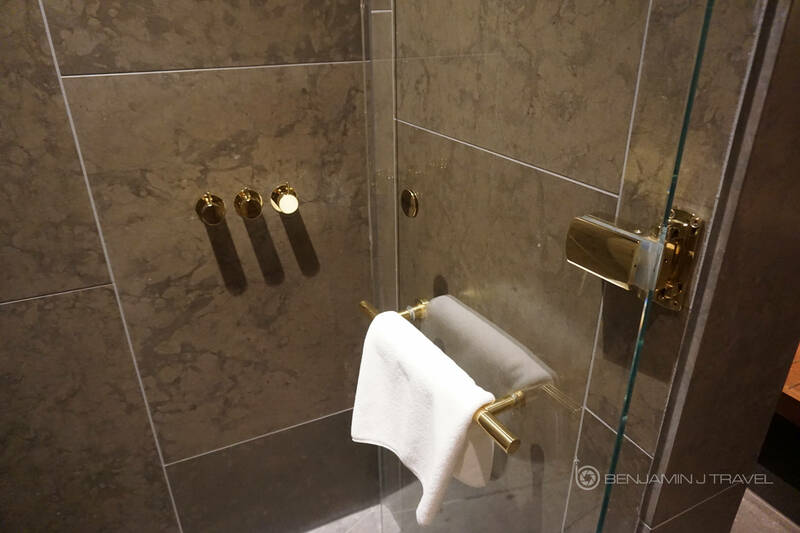 I got a short tour of the shower suite facilities which are beautifully done. 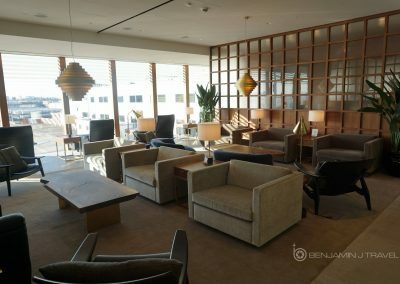 While I didn’t have a need for a shower, the lounge staff kindly gave me walked me through the suites to allow me to take a look and snap few quick photos. 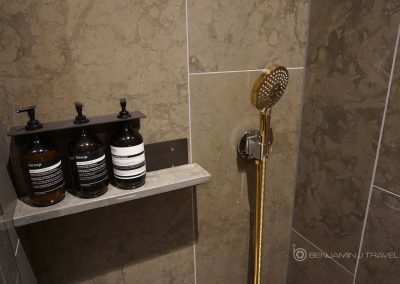 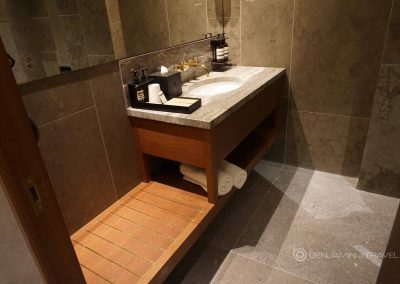 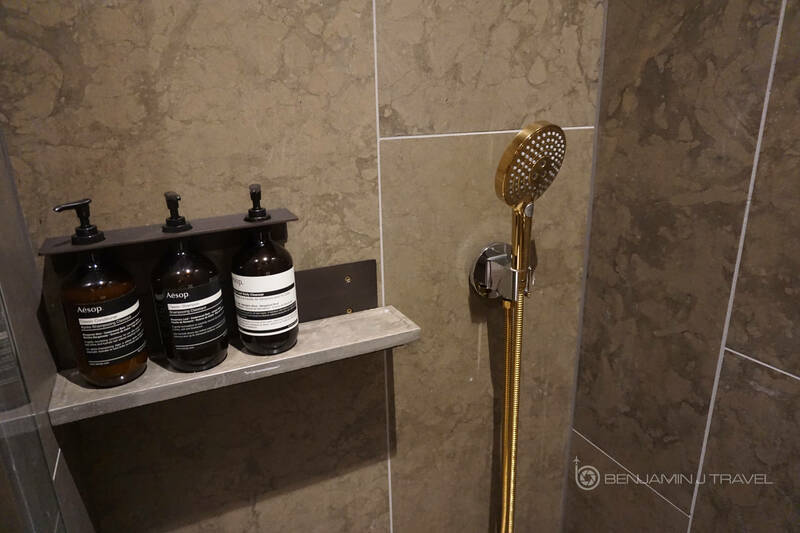 I will definitely be taking a shower in one of these on my next LHR layover! 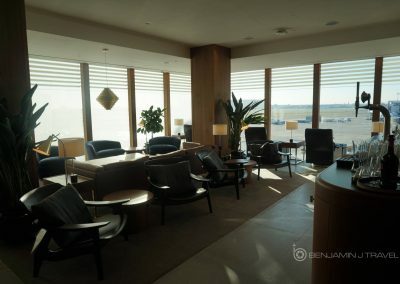 Next, I took a short walk around the Business Class Lounge which is much larger than the First Class Lounge. 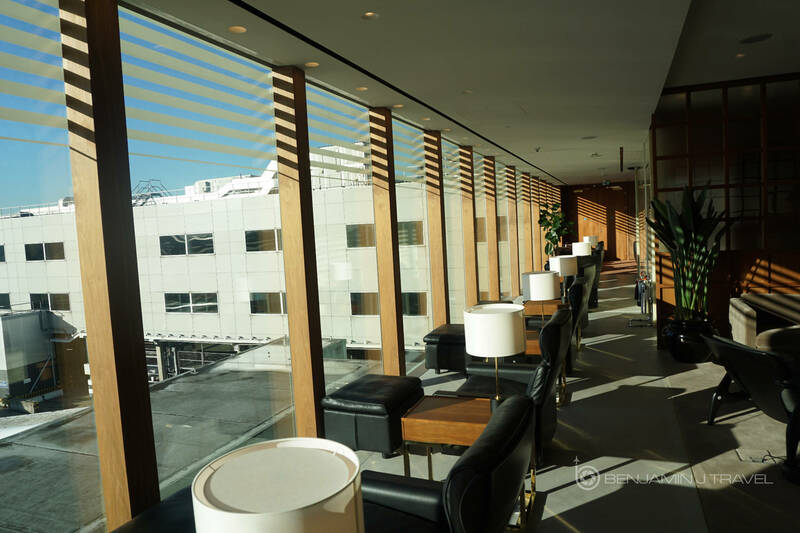 There’s lots of spacious seating, self-service beverages, and a classic Cathay Pacific Noodle Bar. 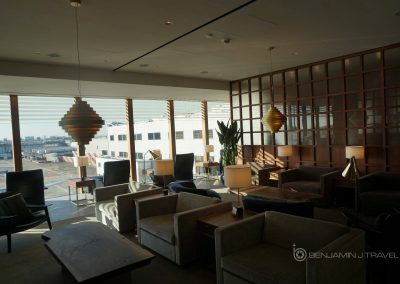 After finishing my exploration of the lounges, it was time to eat! 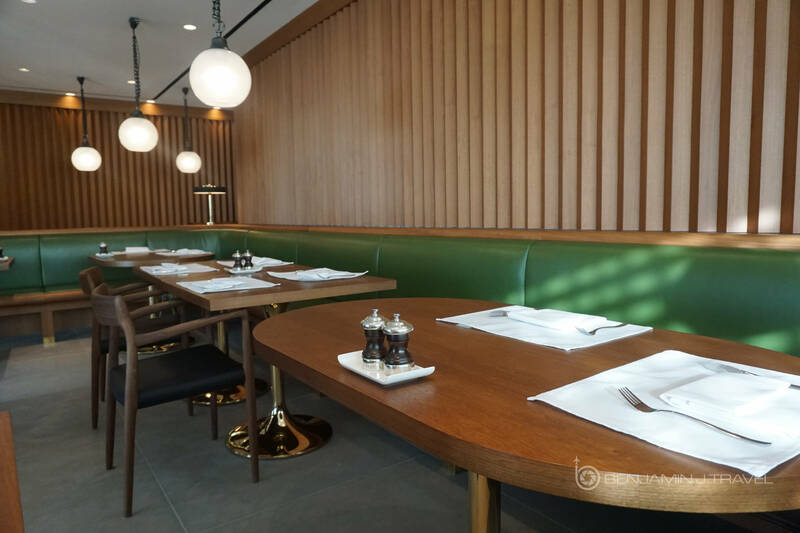 We took a seat in the booth in the First Class Dining Room which features full-service dining. 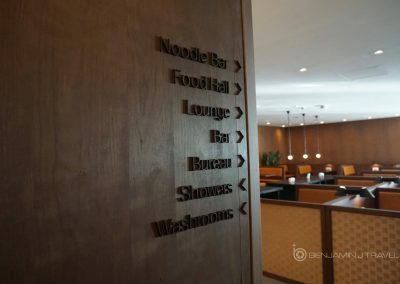 The dining room staff was beyond hospitable and we enjoyed chatting with them and sampled some noodle dishes and desert. 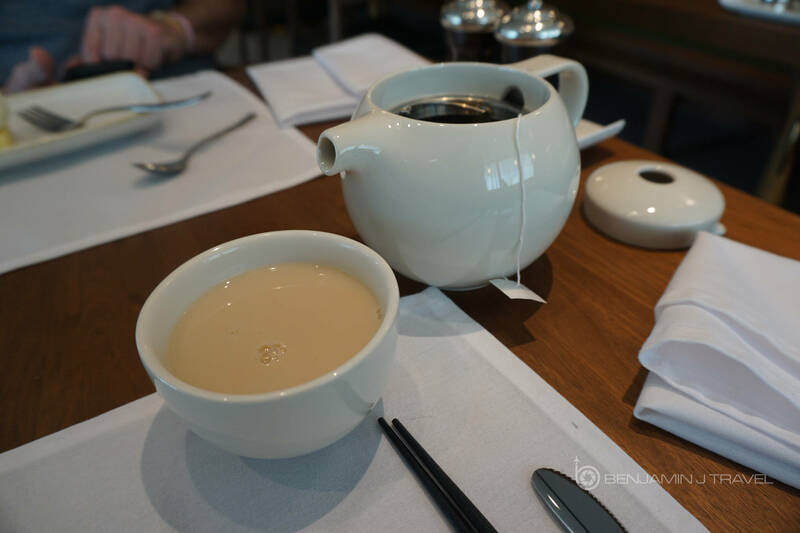 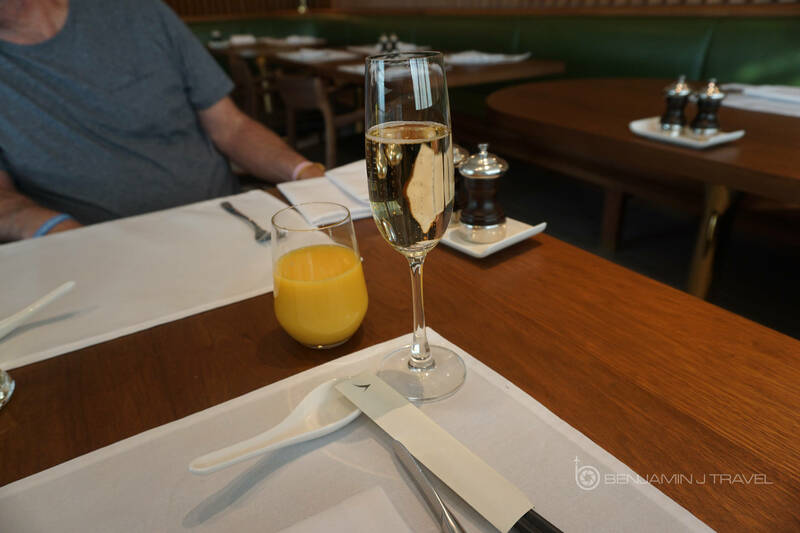 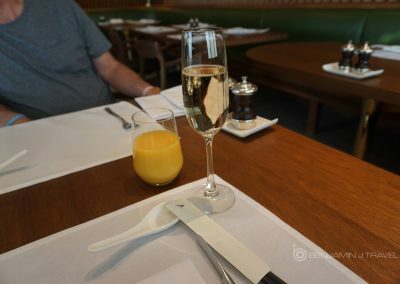 I even had a bit of champagne and followed our meal with some English Breakfast tea. As expected, I was left thoroughly impressed with the refreshed Cathay Pacific First Class Lounge at London Heathrow. 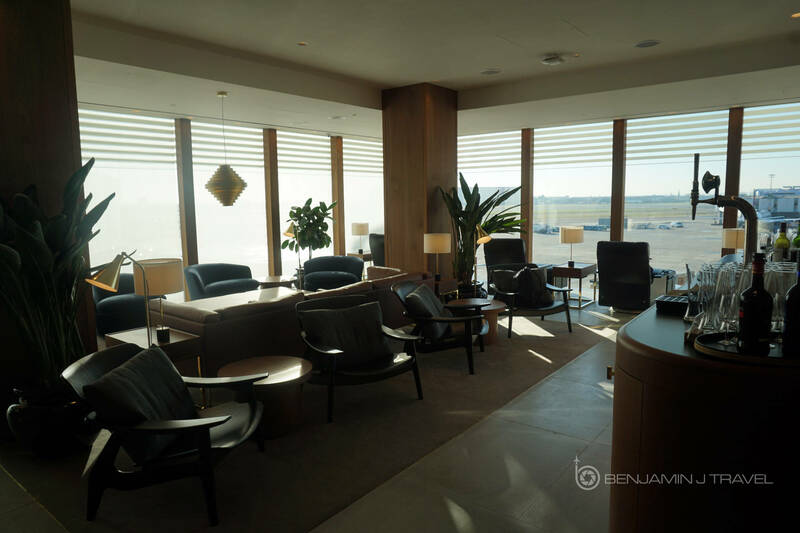 It was almost like being at one of their fantastic Hong Kong lounges. 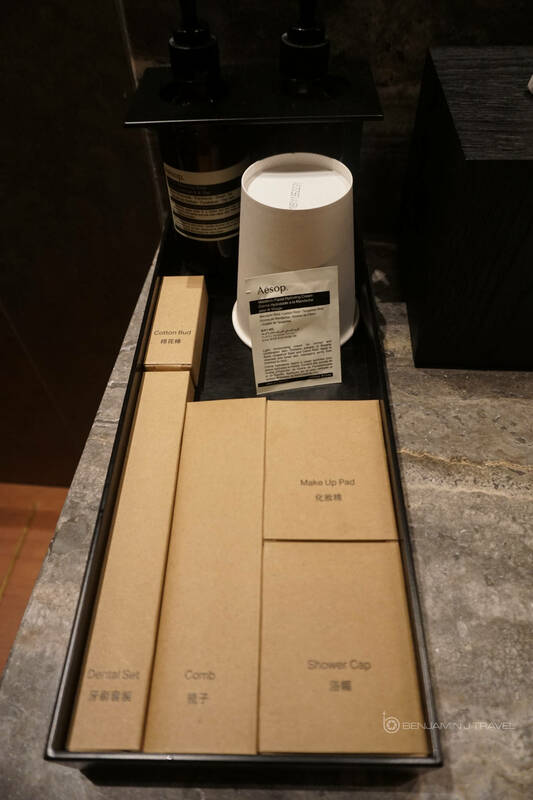 The staff truly went out of their way to make us feel welcome. 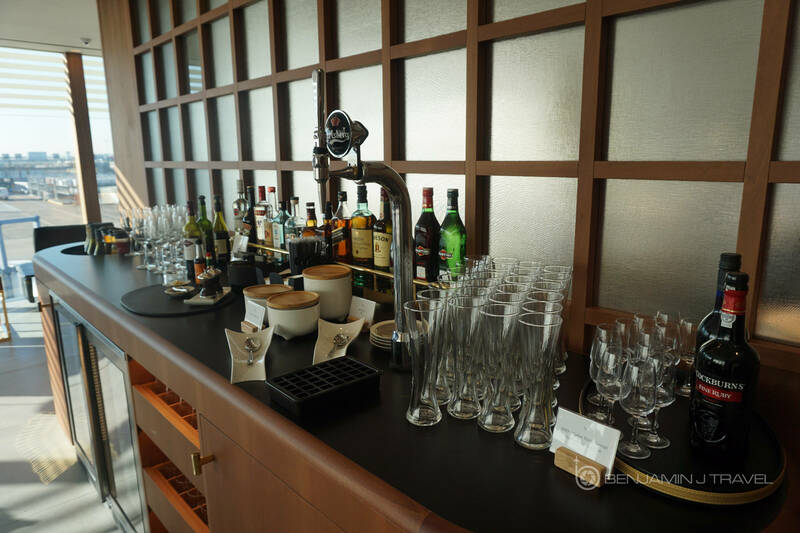 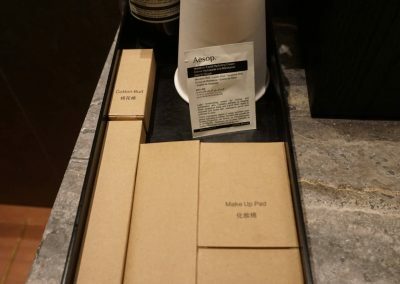 You don’t always see that in an airline lounge. 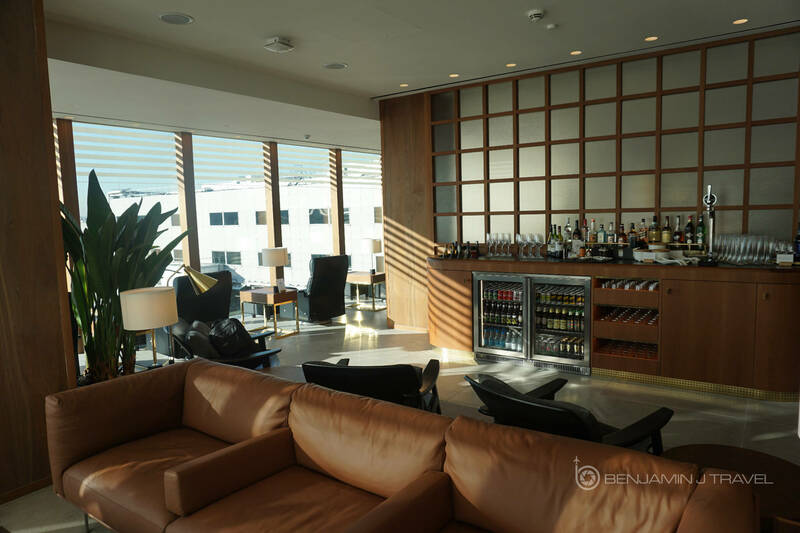 This lounge blows the British Airways First Lounges at LHR out of the water! 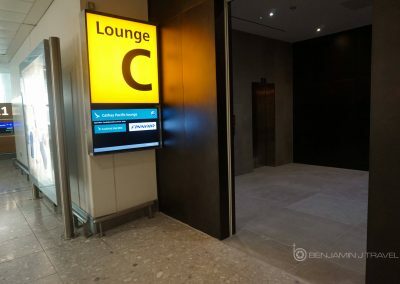 If you’ve got a change to access either the First or Business Class lounges at LHR, don’t pass up the chance. 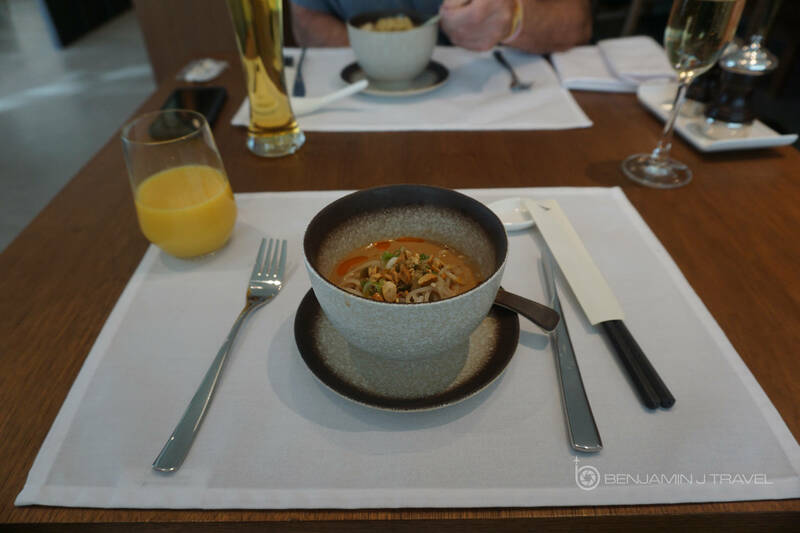 Even if it’s just a chance to have a quick noodle dish!